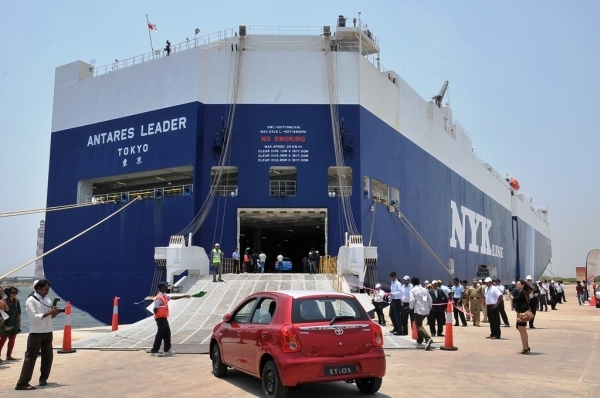 Japanese auto major Toyota on Wednesday commenced the shipment of sedan "Etios" and hatchback " Etios Liva" to South Africa. 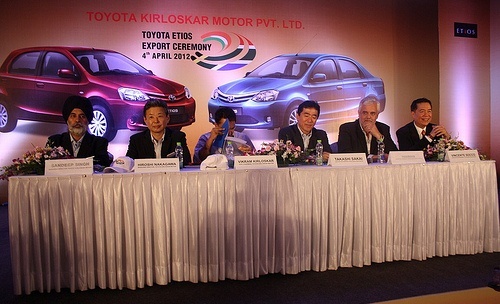 At a function at the Ennore Port, the first batch of cars was exported to South Africa in the presence of top officials of Toyota and its India partner Kirloskar. "It is a proud moment for all of us in Toyota Kirloskar Motor as we flag off the first ever Etios export consignment to South Africa. As we begin a new chapter of business with the start of the exports, I would like to express my gratitude to all our employees," Toyota Kirloskar Motor Vice Chairman Vikram Kirloskar said. The first batch of 247 units was flagged off by Karnataka Home and Transport Minister R Ashoka and Industries Minister Murugesh R Nirani. "We are happy to begin exports to South Africa. We have slightly modified the petrol cars for the exports. It is one of the big markets to us)" Toyota Kirloskar Motor Deputy Managing Director (Marketing) Sandeep Singh later told PTI. TKM has two manufacturing facilities in Karnataka. Toyota holds 89 per cent stake in the joint venture with the Kirloskar group.